On Sunday, Sting’s rock wizardry captivated a sold-out crowd at the Borgata in Atlantic City. Playing nearly every song from his solo career and the Police that one would want to hear, he put on quite a show. 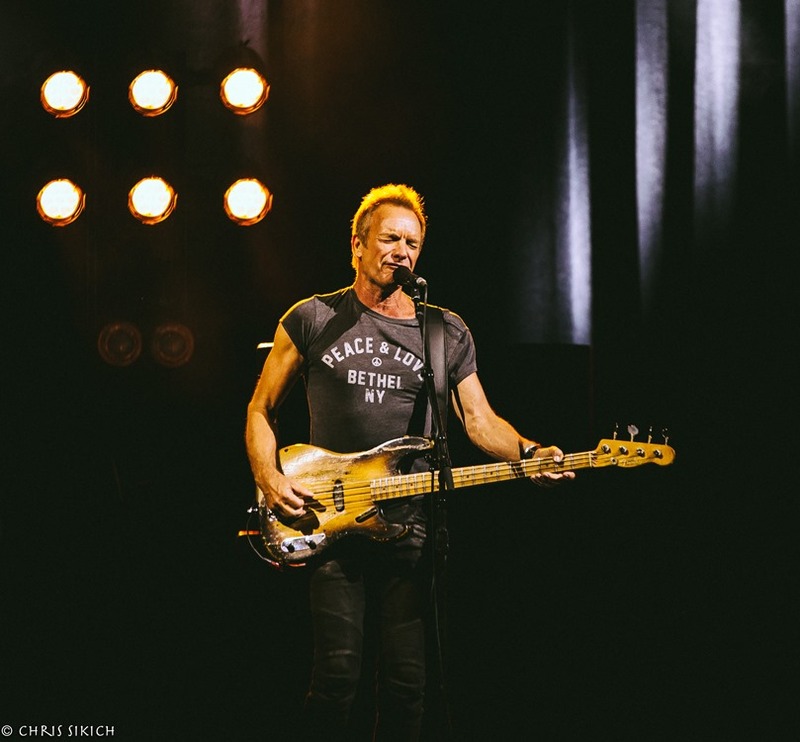 With a voice that can still hit the challenging notes of such classics as “Roxanne,” “Every Breath You Take” and “Fields of Gold,” among many others, Sting is a consummate performer. His backing band, which includes his accomplished rock-‘n’-roller son, Joe Sumner, and the Last Bandoleros — both of whom warmed up the crowd with short sets of their own — more than did justice to his rich songbook. The audience sang along, danced and eagerly drank in one hit after another. It’s hard to pick out the highlights among so many memorable songs, but the medley of “Roxanne” and Bill Withers’ “Ain’t No Sunshine” that ended the main set may have been the show’s greatest moment. And the brilliant tune “Fragile,” which Sting dedicated to those who have suffered the horrors of Hurricane Harvey, provided a thoughtful and uplifting conclusion as the evening’s final encore. Stirring up memories with songs that have been ubiquitous for decades, Sting taps into the collective music psyche in a way few performers can. Those at the Borgata will not soon forget. Tags: 2017, Ain't No Sunshine, Atlantic City, Bill Withers, Borgata Casino Event Center, Chris Sikich, Every Breath You Take, Fields of Gold, Fragile, Hurricane Harvey, Joe Sumner, NJ, PopEntertainment.com, Roxanne, September 3, sting, The Borgata, The Last Bandoleros, The Police. Bookmark the permalink.